My order has not arrived yet! I can't find my order confirmation email! For the full terms and conditions that apply to your purchases from the Lonely Planet Shop, please click here. View delivery times and carrier information here. Lonely Planet offers standard and express delivery options in most regions. Schedules are based on delivery times to capital cities - please allow extra time for delivery to regional & remote areas. Delivery times are based on the date of dispatch - not the time of ordering. Express parcels are dispatched within the business day if ordered before 2pm. Standard mail parcels are generally dispatched within 1-2 business days, though it can be an additional 2-3 days during busy sale periods. On a tight deadline? Contact us for information. We have three main hubs spread across the globe - Melbourne (Australia), Grantham (UK) and Oakland (California, USA). Shipping charges vary slightly from each and are based on weight and distance, which we think is fair. Before confirming your transaction just check to make sure you are happy to pay these costs. Australia: As of June 2018, standard shipping is now tracked via Australia Post's eParcel service, and costs $3.95 for deliveries anywhere in Australia! Free shipping when you spend over $60. At this time, free shipping offers are not available on deliveries to the Middle East, Africa, Caribbean, Asia & the Pacific, New Zealand, Central and South American deliveries as well as first class mail deliveries shipped to the Americas or the Armed Forces. We post all deliveries to the address you provide us with, so check your order dispatch email to ensure that the address is the right one. If you have paid by PayPal, check your PayPal delivery address is correct. Where the address you have provided is not 100% correct, we will need to wait for the parcel to be returned if we are to provide any kind of redelivery/refund, but we will be happy to help you place a new order if you need the books earlier. If the order is not returned to us, you will not be eligible for a refund or re-delivery. 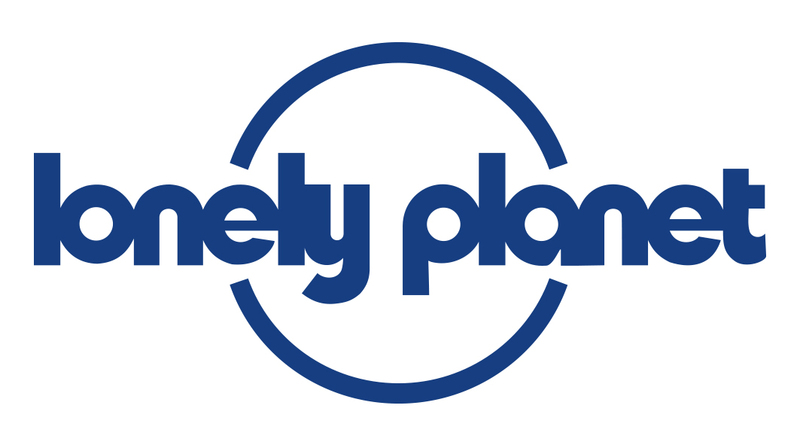 Lonely Planet accepts no responsibility for deliveries made to incorrect or incomplete addresses provided by customers. Standard deliveries. These parcels do not have a tracking number, so check with your local post office, or your work mail room if it was sent to a work address. In the vast majority of these cases we find that your local postal service had attempted delivery, but failed to leave a notification in your letterbox. Maybe even check with the neighbour in case they have it safely waiting for you. Still no luck? Contact us. Express deliveries. If your books are being sent by an express method (like FedEx, UPS and Australia Post Express), then your dispatch email will include a tracking number. If it does not, Contact us. FedEx tracking website or the UPS tracking website for deliveries to the Americas. * Please note that we currently do not offer trackable express shipping methods throughout Europe, Middle East and Africa. Returned parcels. If your package has been returned to Lonely Planet, we'll get in touch straight away. If the address you provided is correct, we’ll send it out via standard post at no charge to you. If the address provided is incorrect, you may have to pay an additional postage charge. In both cases, if you decide to upgrade to express postage (where available), you will need to pay a little extra to do so. eBook orders. Remember, ebook and chapter orders are sent electronically only, and we do not send out a printed version of your purchases. Haven't downloaded them yet? Refer back to your Lonely Planet order confirmation email and click on the download button. If your order was placed before 2017, you we need to contact us as we have moved into a new shop platform. In the event your order has not been delivered within a reasonable time frame of 30 days (per above), please contact us and we will address the situation immediately. Please understand that it is in good faith that we put your order in the hands of our preferred carriers, but in a very small percentage of cases parcels go missing or are unexpectedly delayed. We can't prevent this, but we can discuss ways to meet your immediate needs. We must allow a fair and reasonable amount of time for the goods to be delivered before the parcel is determined as lost (this will vary depending on the carrier and the destination), and we will place a replacement order or issue a refund as the situation demands. We ask for your co-operation in these rare cases. Check your Spam, Junk or Promotions folder (or even the deleted items folder) as you are likely to find your confirmation emails in one of these folders. This is a common query that we receive from customers who have Gmail, Yahoo, Hotmail and similar POP email accounts. Why? Because these email accounts often have an automatic spam filter that hides emails sent from any retail website. To further ensure our confirmation emails get to you, you can add the address "email@list.lonelyplanet.com" to your safe sender's list to ensure your confirmation does not get sent to your Spam or Junk folder. If you have checked these folders and it is still missing, please contact us and we will be happy to help. Brokerage Fees: When you have a package shipped from the US to Canada, Central & South America via FedEx International, you're essentially hiring FedEx to bring goods across the border. Brokerage fees are usually a percentage of the shipment's value or a minimum fee. These may be requested up front when you sign for the goods, if not Fedex will send you an invoice in the mail. Lonely Planet receives no part of these funds and cannot provide a refund any extra costs incurred. Service Areas: FedEx services most areas, but before requesting delivery to very remote areas (particularly in South America, Latin America and the Caribbean), it's worth checking on the FedEx website that they deliver to your specific area. If you've already placed your order and they don't deliver to that area, the goods will go to the closest FedEx depot and you are likely to experience delays and potentially incur extra expenses like arranging for your own broker to deliver the guides, or picking up the guides yourself. We must stress that it is only in small towns or remote regions where this is likely to occur, and recommend that in such cases you try and source our guides from your local bookstore before you travel. Please note that we are unable to provide credits on FedEx International shipments that have already been dispatched. It is the responsibility of the customer to ensure that FedEx will be able to deliver to the shipping address provided. If FedEx is unable to deliver for any reason, please contact us and we will assist in whatever way we can, however, in many cases the customer will need to visit their nearest FedEx depot to pick up their shipment, or place a new order with us. Packages delivered via standard airmail do not include any tracking information, and sometimes they may be subject to customs delays. Airmail parcels are sent to a main delivery point in your closest capital city, and are then processed by customs and handed over to the local postal service for the final stages of delivery. Customs can really delay a delivery, but on average airmail takes 5-20 business days to Canada and 10-25 business days to Latin America and the Caribbean. If you've checked the shipping details you've provided and they're all correct, and it's been over 25 days, and you still haven't received your books, please contact us. Unfortunately we are unable to provide credits or free re-shipments on late or missing orders that have been dispatched to Latin America, Canada or the Caribbean. If you are concerned about delivery times and tracking, we recommend ordering via FedEx International, or sourcing our guides locally. If your order has not arrived in the estimated amount indicated in our delivery times, please contact us. We will do our best to help you.